Apologies to readers who are not members of the Grantham family, for this post will be mostly of interest to us. I'm posting this from Bethlehem, PA, where my cousin Sean and his wife Jeannine got married yesterday. I thought I'd post some pictures from the happy event, but unfortunately I'm still learning about how to use the digital camera. So some of the pictures aren't as good as I'd like, and some beloved family members will not be pictured because I only have dark and/or blurry pictures with them in it. 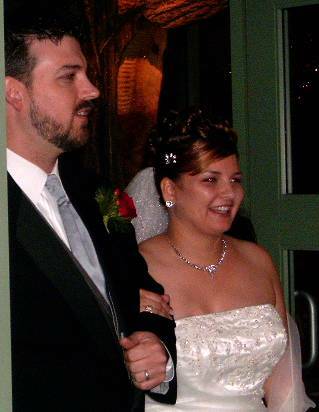 Here is the happy couple entering the reception. 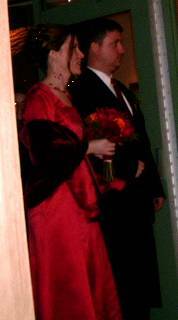 Here are my cousins Ian and Sara entering the reception. 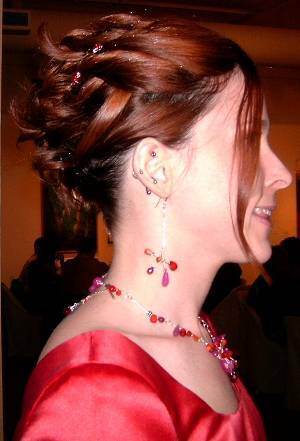 Here is Sara showing off her hair and jewelry. 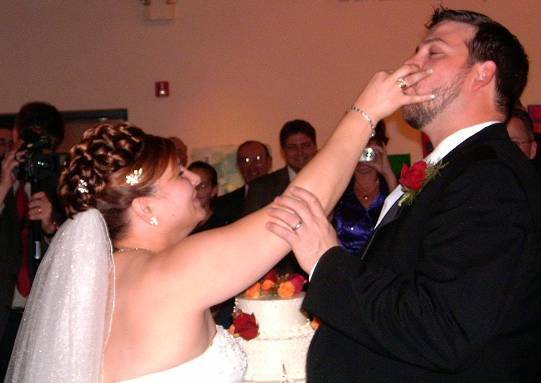 Here is Jeannine feeding Sean wedding cake. 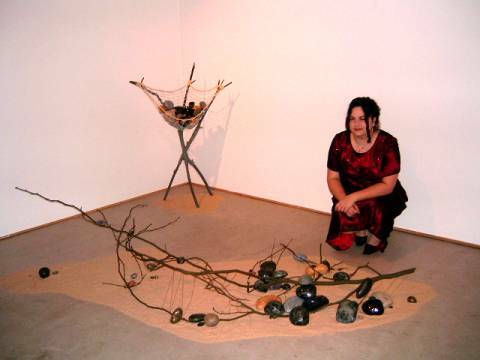 Here is Christina posing with some of the art from the gallery where the reception was held. 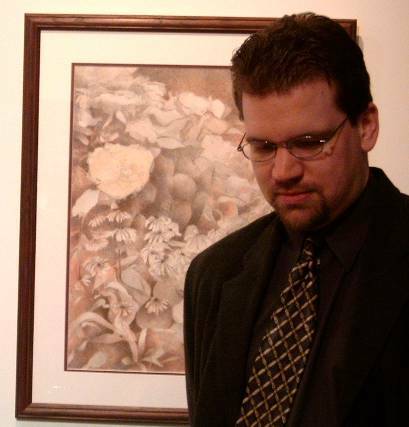 And me with some art. Here are the wreaths Sara made for the wedding. 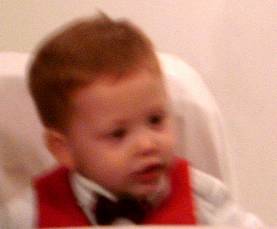 And here is my first cousin once removed, Casey. This is one of the pictures that didn't really turn out, but I figure a) everybody loves pictures of kids and b) it'll be years before I get an e-mail from him complaining about it.